Four Paws Canine Creche motto remains, all dogs are treated with love, respect and equality. What we can do for your dog? our dog will make lots of new friends. Healthy play and exercise is encouraged. Scheduled nap time to ensure adequate rest. Your dog will come home tired and content. Ideal for dogs who would otherwise be home alone. 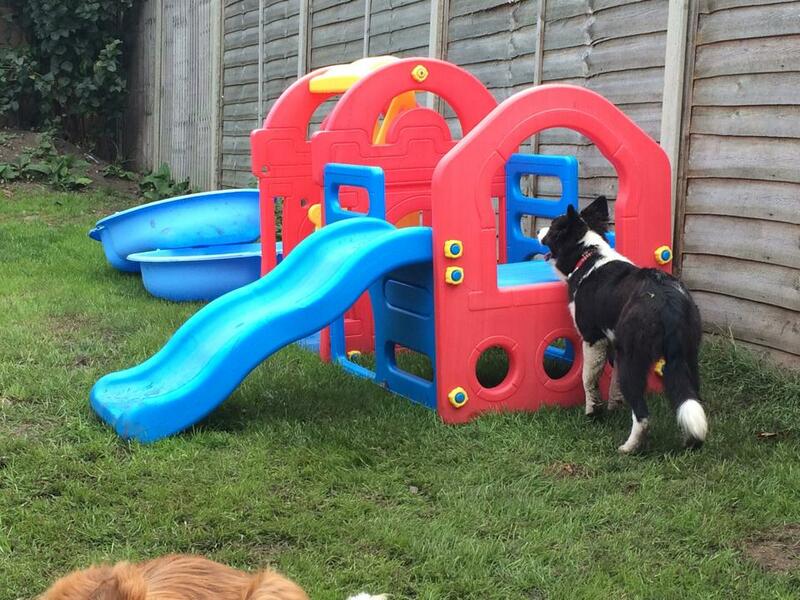 Great for dogs who just want to come for fun, frolics and friendship. All dogs will be assessed for behavour and temprament, this is to ensure all dogs and staff safety. Dogs will be supervised at all times. Birthday parties for the birthday boy or girl. Variety of activities throughout the year. For more information please contact us. Limited space available. Is your dog neutered or spayed? is your dog up to date with their vaccinations? Has your dog had kennel cough vaccination? Is your dog good with other people? 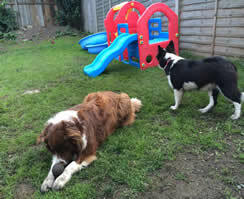 Is your dog happy to share toys or food items with other dogs? If you can answer "YES!" to all those questions, we can book your dog for an enrolment session, which includes a full assessment.